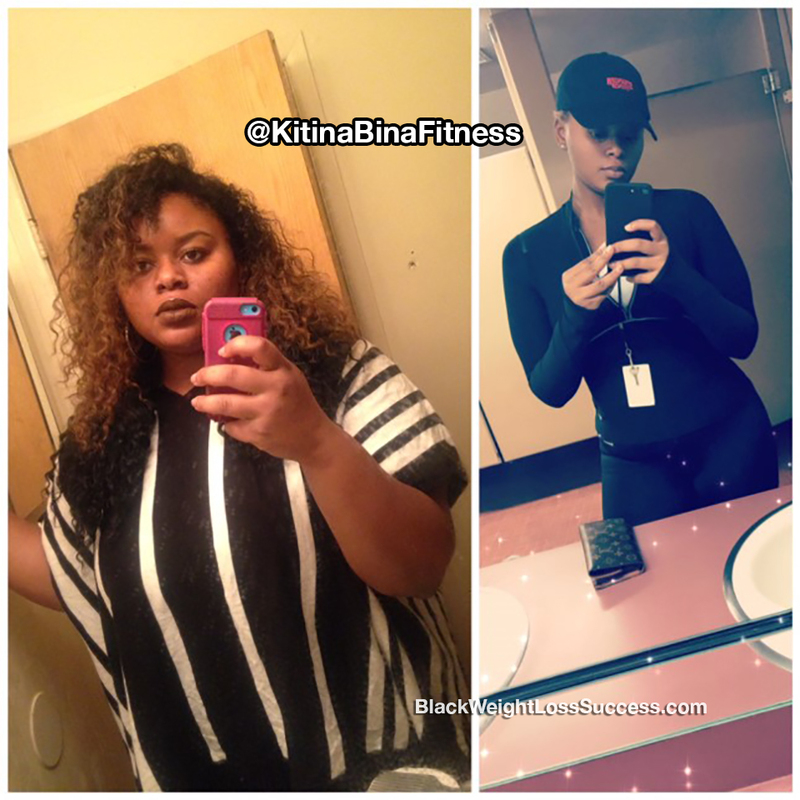 Update March 2018: Shout out to Kitina. She lost 36 more pounds for a total of 76 pounds gone. 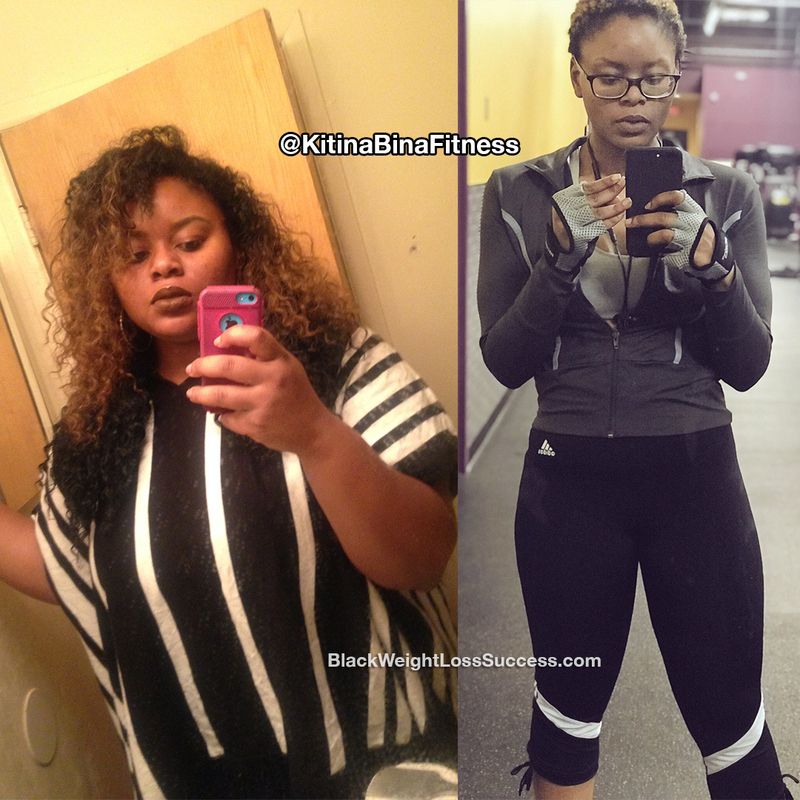 Transformation of the Day: Kitina lost 40 pounds. At the beginning of the year, she decided to change her life and focus on health. She credits much of her success to intermittent fasting and clean, low carb eating. Check out her journey. Being healthier has definitely been my motivation. Seeing my results and looking at my old photos encourages me to keep going when it gets rough. When I initially started losing weight, I didn’t make any major changes that I was aware of. Looking back, I can say that intermittent fasting and loads of stress is what got the weight off for me in the beginning. I was not intentionally doing intermittent fasting, but most of the time I wouldn’t have an appetite until I got home from work because I was so stressed. During this fasting stage, I didn’t eat clean whatsoever. Now, my eating habits have changed to mostly eating clean and low carb with one cheat meal per week. I keep my calories around 1400 per day, aside from the one day I have a cheat meal. I record all of my meals using My Fitness Pal. For the most part, I have removed sweets and any type of junk food from my diet. I only drink water or fresh smoothies I make at home. The most important thing I’ve learned is to not completely deprive yourself of certain things you like. Just eat them in moderation instead. I currently run a meal prep service aimed towards helping other reach their fitness goals with no excuses. What did your exercise routine look like? I did not work out in the beginning, but I did a lot of walking at my job. Now, I work out about 4-5 times a week. I incorporate cardio and strength training into my workouts to get the most effective results. I’m not too sure of my starting weight because I was too scared to weigh myself initially, but I believe I was around 240 pounds at my highest weight. I currently weigh 200 pounds at 5’6″. What is the bigggest lesson you’ve learned? The biggest lesson I’ve learned is that you can’t out run a bad diet. At a certain point in your journey, you have to get serious about your diet to continue to see results. My advice to others would be to just keep going. If you aren’t seeing the results you want at the moment, don’t give up. It takes time.